Eric Porter of the Mandarins submitted this photo and caption. 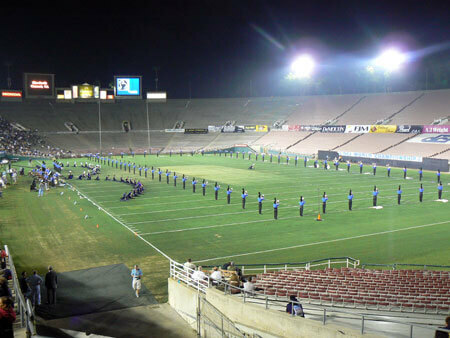 August 11, 2007, DCI World Championships at the Rose Bowl: When I could feel the anticipation of the crowd and the energy coming from the corps, I knew I couldn't miss watching them perform. I was thoroughly entertained even though I was all the way past the end zone! Don't miss the 2008 DCI World Championships Aug. 5-9 in Indiana!